Nearing 30 years old, Cole Beasley isn’t going to draw a high-dollar, multi-year deal from any team this offseason, but the team that does invest in him as a short-term solution in the slot will get their money’s worth, surely. He is a sure-handed slot receiver that has proved he can thrive as a high-volume option in an offense. Beasley can have a positive impact as a No. 2 or even No. 3 option in an offense, especially if given the opportunity to work with a high-end signal-caller. 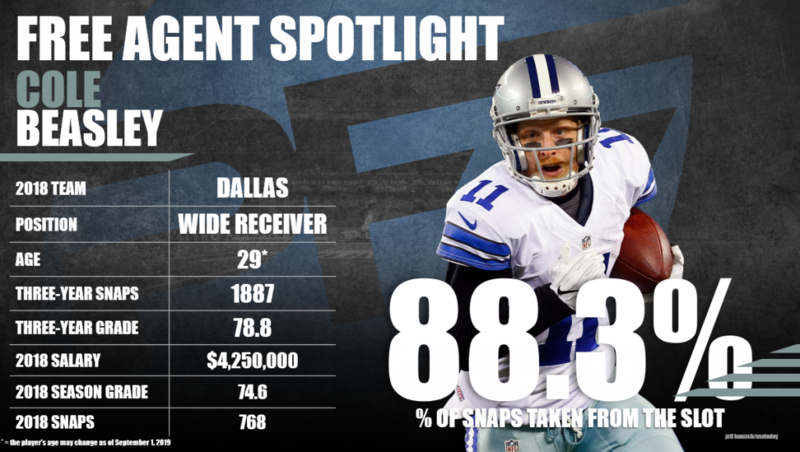 Subscribe to Pro Football Focus’ ELITE subscription to research Cole Beasley’s grades, advanced stats, snaps and more in Premium Stats 2.0.